The organization invites UP Sainik School Lucknow Admission Form from those applicants who want to take admission in this school in class VII and IX step by step. UP Sainik School Lucknow has decided to conduct entrance exam on fix date. Eligible applicants can obtain all information about UP Sainik School Lucknow Admission Form from this web page. Applicants who fulfill all eligibility criteria can apply against this notification on or before the last date. 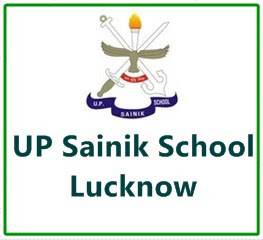 All students can check all details of UP Sainik School Lucknow admission, written exam, result, admit card, interview etc through this web page. Candidates must have passed class VI/ VIII from an acknowledged school. Reservation ->> Out of total vacancies, 27 % of the seats are reserved for OBC, 21 % for SC and 02% for ST categories. Vimukt Jati will not be considered in the ST categories. Scheme of Written Examination ->> Admission to the school is made via a competitive exam. The subjects of exam are First Paper: Mathematics, Second Paper: Language ability (Hindi & English) Test, General knowledge and intelligence test. The school provides admission in class VII and IX only. Examination Centres ->> Agra, Allahabad, Bareilly, Faizabad, Gorakhpur, Jhansi, Meerut, Varanasi and Lucknow.The candidate appearing for examination may opt for maximum three centres, out of which one may be granted by the school administration. However in case of certain extraordinary situations, some other centre may also be allotted to the candidate besides his choice of three centres. Therefore the final decision of allotting the centre will be a sole prerogative of the school administration. No representation will be accepted. Step 1: Primary Registration of candidate and generation of application ID. Step 2: Candidate may submit the Application form Fee of Rs. 600/- by E-Challan or I-Collect (SBI) & get the Transaction ID. Bank Charges will be extra. Fee is not refundable in any case. Step-3: Applicant has to upload their photograph (file type should be .jpg or .jpeg & file size should be 20 to 100 kb) and also submit the 3 Exam Centres of their choice. After this, applicant is required to Final Submit the application after checking their full details. Applicant can complete Step-3 process after 1400 hrs on next working day of successful Payment process. School Fee ->> Rupees 35,000/- per annum (Rupees 17500/- per term). Scholarship is given on merit basis. School Fee is likely to be increased as per existing rules. a. Domicile certificate of father issued by the Competent Authority in original. b. Caste certificate of father (SC/ST/OBC) issued by the competent authority in original. c. Birth Certificate of applicant issued by Nagar Nigam/Nagar Palika/Zila Panchayat Adhikari in original. a. Transfer Certificate from the school last attended duly countersigned by the District Inspector of school/BSA. b. Domicile certificate of father issued by the competent authority in original. c. Caste certificate of father (SC/ST/OBC) issued by the competent authority in original. d. Agreement bond on Rs.50/- Special Adhesive Stamp. e. Affidavit on Rs.10/- non judicial stamp regarding Antiragging. f. Birth Certificate of applicant issued by Nagar Nigam/Nagar Palika/Zila Panchayat Adhikari in original. g. Affidavit on Rs.10/- non judicial stamp regarding domicile of UP.